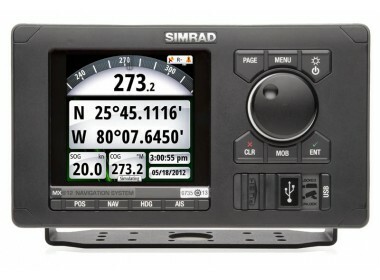 Please fill in the short form below with your question, either about the Simrad MX612, or for some technical advice. Please include details of your vessel if you feel they will help us answer your query. 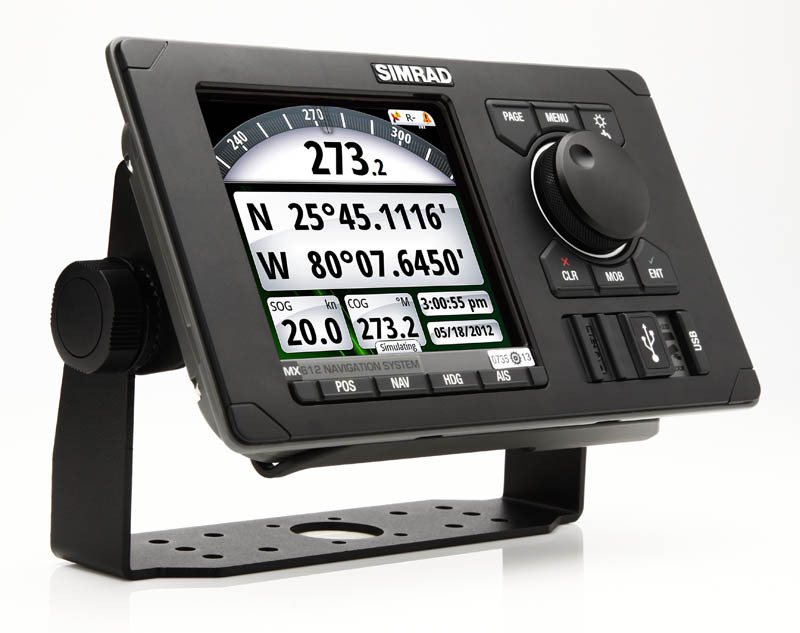 The Simrad MX612 IMO approved D/GPS Navigator is designed for use by the professional mariner. Utilising the trusted MX521A GPS/DGPS smart antenna and MX61x junction box, this is a complete professional navigation system for any professional vessel requiring IMO type-approved electronics. 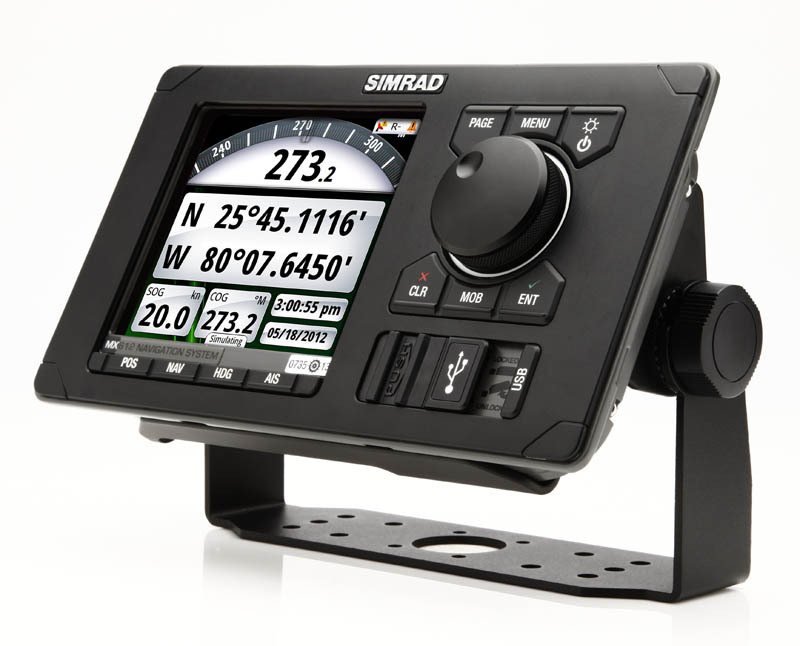 Designed to system match the next generation of Simrad Autopilots (AP60, AP70 and AP80), the sleek new design, complete with low profile bezel and colour display, offers a new look to the more traditional navigation systems. The 5” LCD bonded screen delivers a clearer and fog-proof display with wide viewing angles. The MX612 features hot keys for direct access to info such as position and navigation data, and you can enjoy the convenience of heading and AIS data when an appropriate GPS compass or AIS unit is available on the NMEA 2000 network. Operators also have the opportunity to save and restore navigation data using a USB memory stick. The USB port can also be used for optional software updates. The control unit is also compatible with a range of current Simrad antennas making replacement of previous CDU models including the MX420, MX510 or MX512 easier. 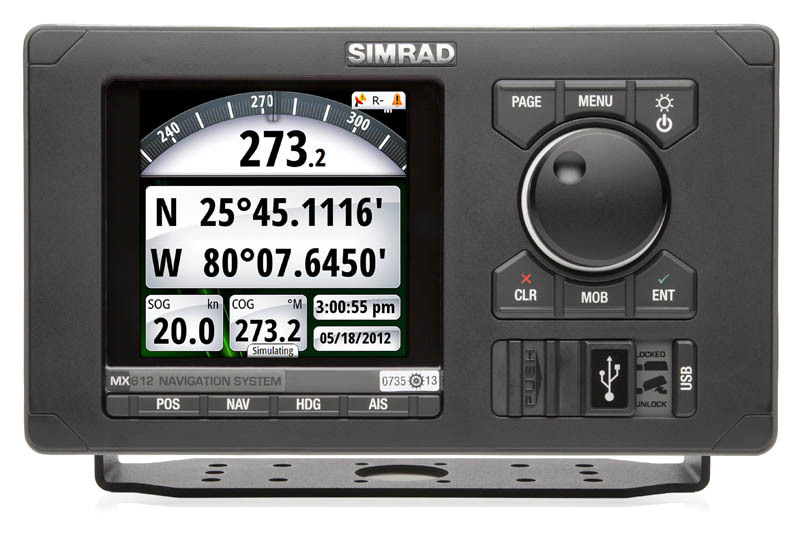 You can also Integrate the MX612 with the Simrad MX575C DGPS Compass, GS70 antenna or HS80 GPS compass.